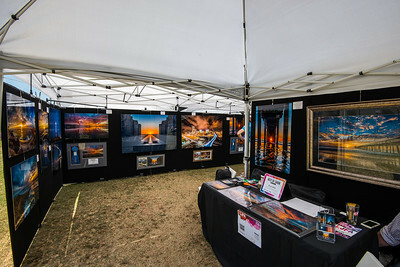 Evgeny Yorobe Photography - La Jolla Fine Art Gallery: 7660 Fay Ave. Suite E La Jolla, CA 92037. My own gallery with rotating large metal and acrylic pieces on display for sale. Small matted prints and calendars also available for sale. Located on the bottom floor of The Village Corner in the corner of the complex. This space is shared with custom woodworker Creations By Will. MK Envision Galleries: 2710 Historic Decatur Rd. Barracks 17 San Diego CA 92106. Matted 12x18's on display, as well as large metal prints as part of a revolving previous Featured Artists wall. Adrian's Surf n' Turf Grill: 9353 Clairemont Mesa Blvd L1, San Diego, California 92123. I have 5 large metal prints on display here, with 3 of them for sale.